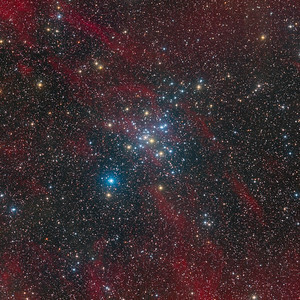 The Southern Pleiades IC 2602 (aka the Theta Carinae Cluster or Caldwell 102) is an open cluster in the constellation Carina. 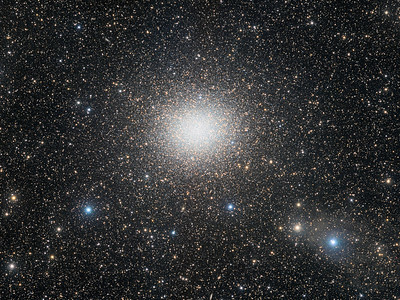 It was discovered by Abbe Lacaille in 1751 from South Africa and can be seen with the naked eye. 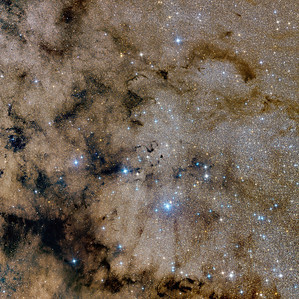 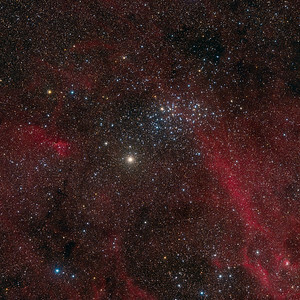 Theta Carinae, the brightest star within the open cluster, is a third-magnitude star with an apparent magnitude of +2.74. 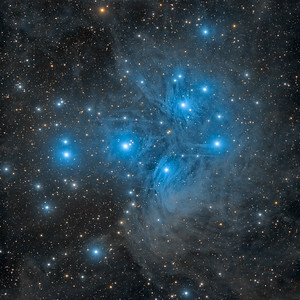 Like its northern counterpart in Taurus, the Southern Pleiades spans a sizeable area of sky, approximately 50 arcminutes, that at an estimate distance of 480 light-years makes its real size about 14 light years. 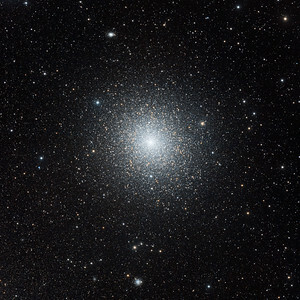 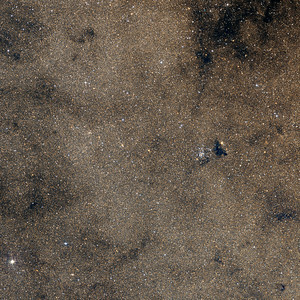 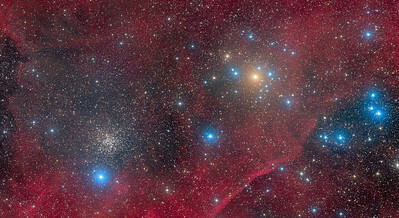 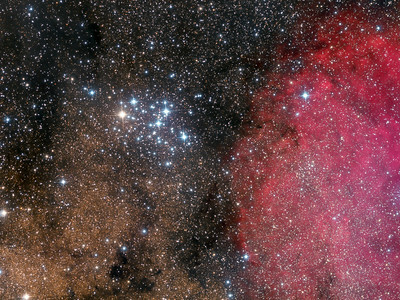 The small cluster visible at the bottom of the image is Lorenzin-Melotte 101. 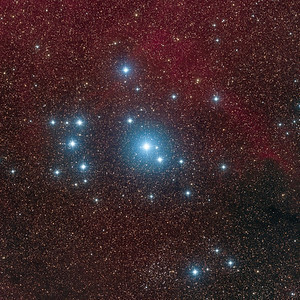 At an estimated distance of 6,800 light years, it is 14 times more distant than IC 2602 and has a diameter of roughly 25 light years. 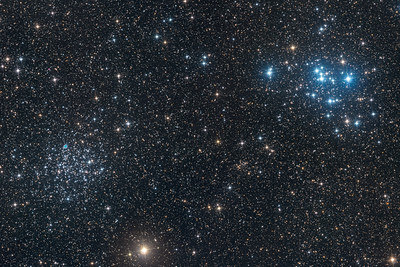 So if the Southern Pleiades cluster were removed to the distance of Melotte 101 it would only look 60% as wide as the latter. The long Ha exposure added to the image reveals some faint nebulosity permeating the whole area, a feature very seldom imaged (text adapted from Wikipedia).